As the home of Fred Rogers and his timeless Mister Rogers’ Neighborhood television series, Pittsburgh has long been devoted to the education of its youngest citizens. And let’s face it. As parents, we can use all the help we can get. The familiar African proverb says, “it takes a village to raise a child” and we couldn’t agree more. Luckily, Pittsburgh is home to many men and women who care deeply about educating our kids–even before they head off to elementary school for the first time. These inspired individuals touch our lives everyday through their hard work at museums, libraries and community centers throughout the city. Over the past few months, Kidsburgh asked hundreds of Pittsburgh parents to name early childhood educators who genuinely impact their families’ lives at places that are accessible and affordable. This group of five exceptional women emerged and we are proud to share their stories here. “We just seem to click, babies and me,” says Kathy Maron-Wood (featured photo above), the senior librarian of the Children’s Department at the Carnegie Library of Pittsburgh‘s Oakland branch. Maron-Wood has been at the Carnegie Library for many years and her deep connection to the city’s babies keeps bringing parents back. “We’ve been coming for over a year and it has been so important for my little girl. Ms. Kathy is always happy and patient and we love her,” says Karen Ward, who visits many of the baby classes at the city’s libraries but says this is her daughter’s favorite. Maron-Wood earned her Masters of Library Science at the University of Pittsburgh. Immediately afterwards, she was hired by the Allegheny County Library Association and within six years was promoted to the lead librarian position in the Children’s Department at Oakland’s Carnegie Library. Many years later, her Storytime: Baby and Me and Baby Signing classes continue to draw crowds of caregivers and children. Maron-Wood’s classes are peacefully active. Children enjoy shakers, swaying scarves, movement activities, songs and stories. At the end, Maron-Wood even pulls out her dulcimer and sings lullabyes. Older babies move around with the music, while younger ones sit rapt. 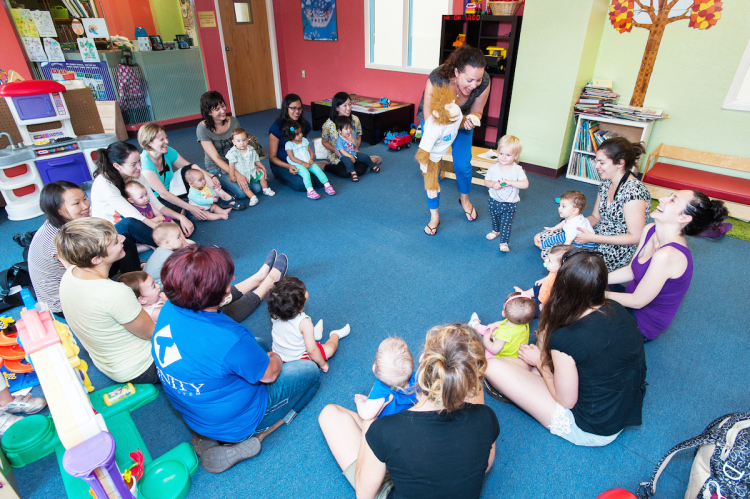 “I try very hard for the JCC to be a safe place to come and hang out with other moms, parents and caregivers,” says Lauren Bartholomae, the director of the Jewish Community Center of Greater Pittsburgh’s Family Life Department. Bartholomae joined the JCC in 2013 and has since dedicated herself to creating a supportive community of Pittsburgh families, Jewish or not. Her success has largely been based on the introduction of new classes for young families like Sing and Schmooze Baby-Style and Sing and Schmooze Toddler-Style. These programs incorporate singing, movement and–central to her community-building mission–dedicated times when caregivers can get to know one another. “I think if you’re going to have one skill in your life, reading would be it. It’s the basis for everything that you do,” says Dolores Colarosa, director of youth services and program coordinator at the Baldwin Borough Public Library. A long-time librarian within the Allegheny County Library Association, Colarosa transferred to Baldwin’s library last year. Almost immediately, she created an early literacy program and expanded the Children’s Department’s book collection dramatically. While Colarosa’s professional background is in business and public relations, her inspiration for becoming a librarian was deeply personal. 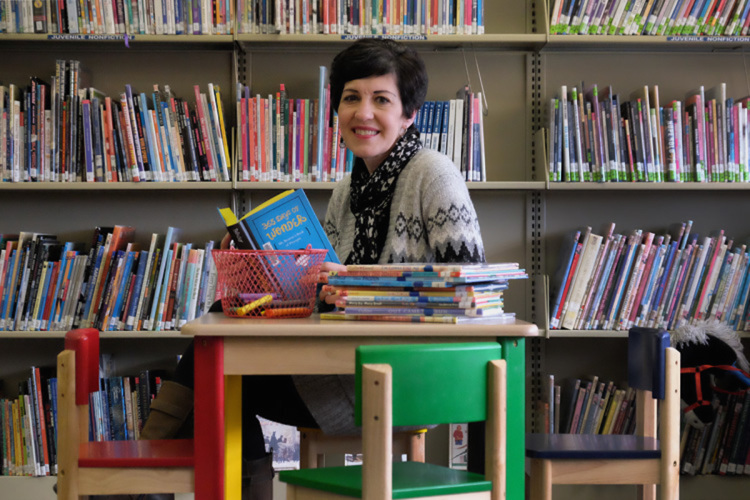 “I’d go to Story Time in Bethel Park with my daughter and I’d be thinking ‘I would love for that to be me one day.” Years later, she applied and was hired at Bethel Park Library. Although she started by simply checking out books, she was quickly promoted because of her superb storytelling skills and programming savvy. 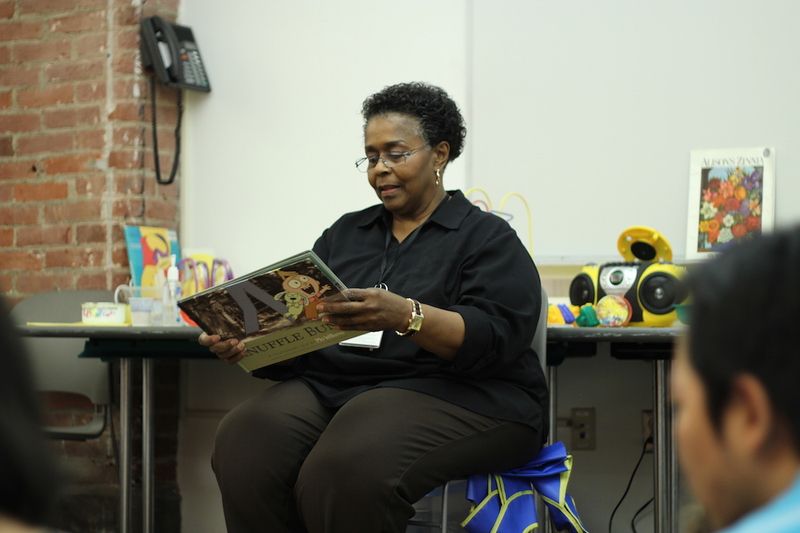 Atkinson has worked in early childhood education for most of her adult life. She started at the Martin Luther King Center in Erie where she was the director of their early childhood program for 21 years. She then moved to Pittsburgh to care for her grandmother and subsequently was hired by the Children’s Museum. “I’m giving families what they need to be empowered and to reach their full potential and I just love that. I love that. I love that. 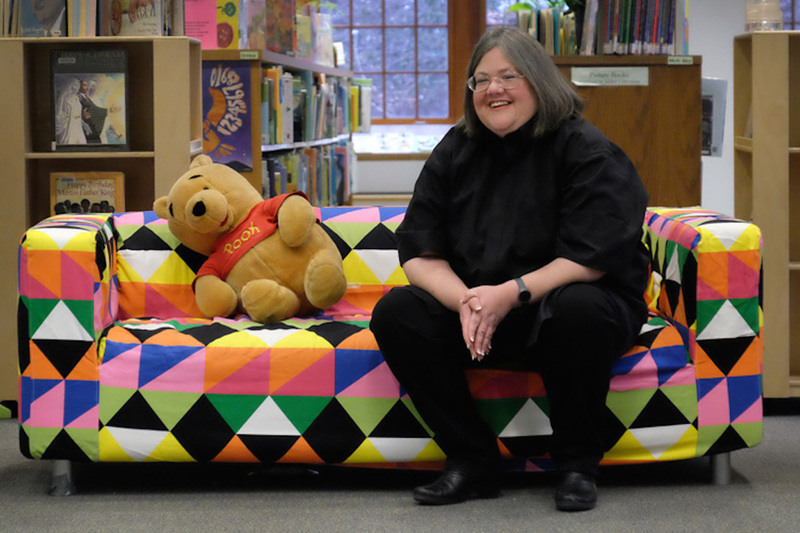 I love people having the best that they deserve,” says Ingrid Kalchaler, the endlessly energetic head of youth services at Shaler North Hills Library. Kalchaler attracts a loyal fan base from all over the city, drawn to both her unbridled enthusiasm and her magnetic personality. “We love Miss Ing! She lights up the room and captivates children and adults alike. Her enthusiasm is contagious and she has been a blessing to our children’s early learning. We are so thankful to have Shaler Library’s programs and Miss Ing’s talent!” says one local parent, Nora Duncan. We join many Pittsburgh families in saying “thank you” to these five educators for their dedication to our city’s youngest children. You are Kidsburgh heroes in our eyes! Please look for future articles in this series profiling exceptional school age and teen educators. Also, we encourage you to comment below if you would like to publicly recognize another early childhood educator in Pittsburgh. This article was written by Krystia Nora with contributions by Nadine Champsi. First Burgh Baby Diaper Drive launches in February–and you can help!